standards and newly signed free agent Al Montoya (nicknamed “El Cubano”) has impressed so far, including a strong 27 save performance in a 2-1 shootout loss to Washington earlier this month. The Panthers have always been a team with skilled goaltenders. Names like John Vanbiesbrouck, Mike Vernon, Ed Belfour and Tomas Vokoun have all warn the Panthers red at one point in their careers, so strength in goaltending is somewhat familiar territory for the Cats. The difference that Panthers fans are noticing this year is in the defensive play of the team. No longer are they allowing easy looks in their own zone. Players are backing up their teammates with proper position, pucks are getting out of the zone much quicker, and sticks are constantly in passing lanes to prevent any sort of flow from the opposition. A lot of these improvements can be credited to newly appointed defensive coach Mark Morris. 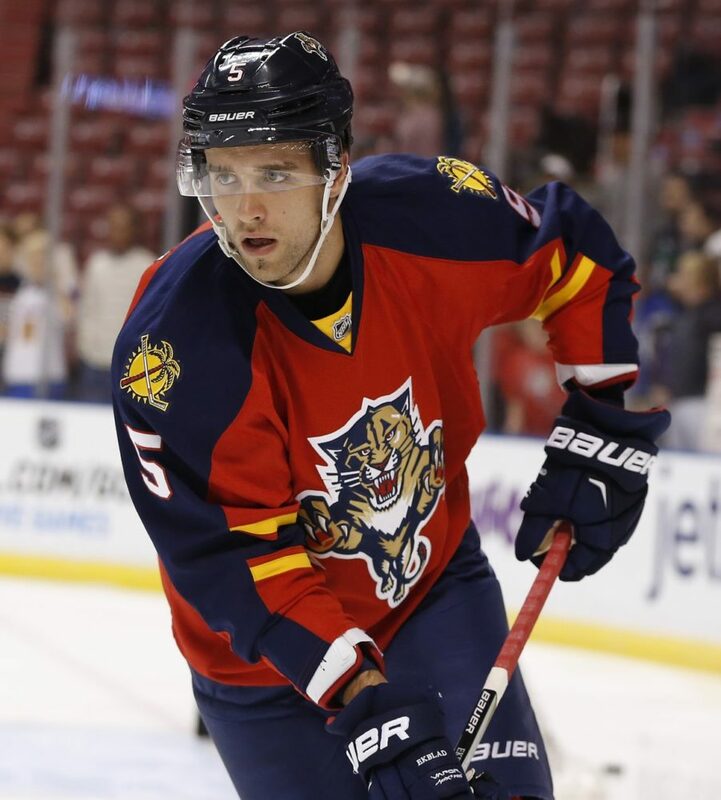 Morris joined the Panthers along with Mike Kelly in July of this year, and with him comes a sea of experience. For the prior eight seasons, Morris had been head coach of the Los Angeles Kings’ AHL affiliate, the Manchester Monarchs. During his tenure he accumulated over 350 wins, including a 49-19-2-6 record this past campaign on route to the Monarchs winning the AHL’s Regular Season Eastern Conference Championship. Manchester was consistently in the top-10 in goals against nearly every year that Morris coached the team and finished 3rd in the goals against last season. an aura of confidence and poise rarely seen in an 18-year-old defenseman. Whether or not much of this can be credited to Morris’ coaching is yet to be known, but one thing that is certain is that he has the entire team playing a more sound defensive game. 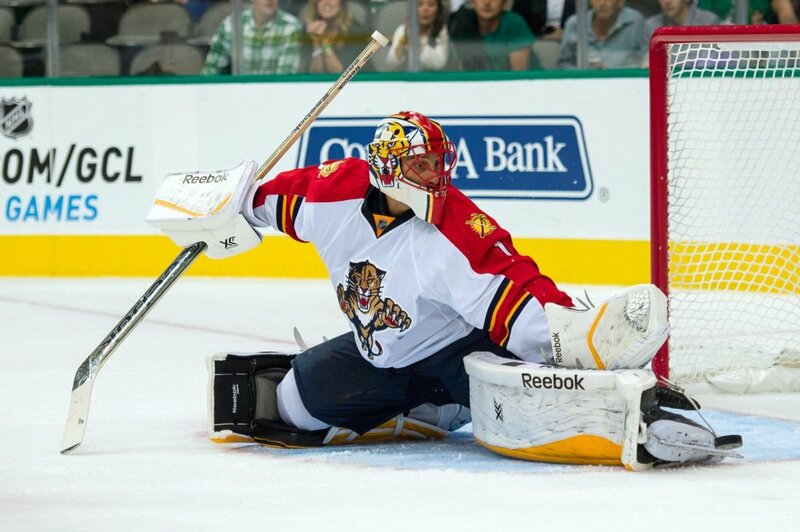 The Panthers currently sit tied for 4th in the NHL in goals against, allowing an average of 2.28 per game. This is a significant jump from last year where they finished 29th in the league under the same category, allowing an average of 3.26 goals against per game (down almost an entire goal per game). Only the Edmonton Oilers gave up more goals than the Panthers last season. Although the sample size is small to start this season, the play of the Panthers defense has clearly improved, as evident in the aforementioned game against the Capitals earlier this month. Going into that game, Washington had scored 15 goals in their previous 3 games, not unheard of for a team featuring the likes of Alex Ovechkin and Niklas Backstrom. The Cats held them to only one goal on 28 shots and minimized the scoring chances of one of the league’s best natural goal scorers. Eventually the Panthers lost that game in the shootout due to a lack of offensive creativity, but we’re talking defense here so we should move on. Let’s do a little fantasy scenario for a moment here to finish things off. The Panthers had their worst performance of the young season in their home opener against New Jersey. The Devils scored four times in the opening stanza and never looked back on their way to a convincing 5-1 victory. If we were to remove this first period completely, the Panthers have allowed 12 goals in 7 games played, averaging out about 1.71 goals against per game. Obviously this number is not sustainable over the course of an 82-game season, but it’s clear that under the influence of Mark Morris, the Panthers have taken a gigantic step in the right direction defensively. With the additions of Willie Mitchell and youngster Aaron Ekblad, the defense as a whole seems to be rounding out well. Now if they could only get the offence going.